1. It’s an opportunity to disconnect. Our culture is loud. I don’t mean loud as in volume level. Our culture is loud in that there is all sorts of ambient noise going on all the time. Between school, sports, homework, cell phones, video games, Facebook — to name a few — kids today can be spread so thin they are ready to break. 3. It’s a new adventure to be experienced. Have you ever: played lazer tag in the woods, jumped off a 25 foot high ropes platform, jumped on a “blob” in a pool, or been on the back of horse? Most would say no. These experiences — done safely — are priceless. And when a child conquers a new adventure at camp, they quickly store it away as a reminder of their courage. Being away from their parents, making new friends, trying new activities — these all help in the child gain confidence as they grow up. 5. They just might be transformed. This is the main reason why I would want my child to go to camp. I believe God speaks to us through: His creation, His Word, and His people. When a child gets away from home, is surrounded by God’s creation, and is taught the Truth of scripture, they could be transformed. I tell the staff of our youngest kids camp quite regularly to take care of our future summer staff. As a parent, I want to fill my bag full of “tools” to help me share with my kids who Jesus is. Camp is one of the tools I plan to use. What do you think? 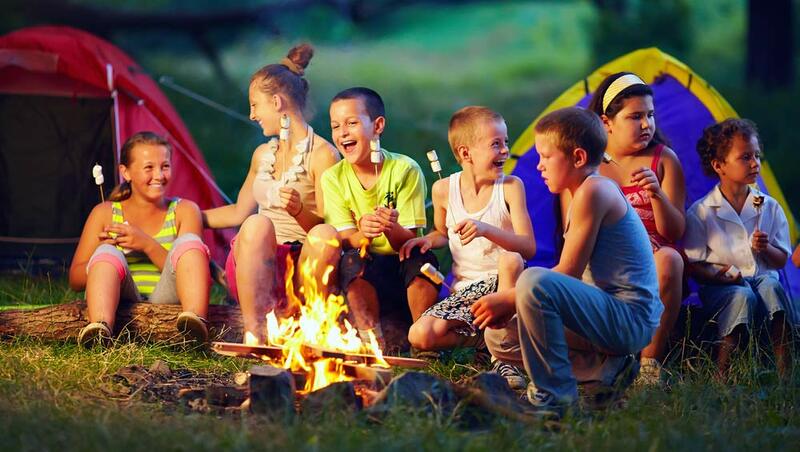 Is summer camp great for kids? Why or why not?